I was watching the Paris Saint-Germain v Manchester City UEFA cup game and it reminded me of something I've always wondered. 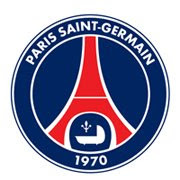 Why does a great city like Paris only have one large club? Well, that question sparked the idea for this post. I've listed the many clubs in Europe that are based in Capital cities. In cases like Athens, Belgrade, Sofia, and Vienna, the capital city clubs win the title nearly every season. Then there are places like Ankara, Berlin, and Edinburgh where the title is hardly ever, or even never, won (I think Istanbul, Munich, and Glasgow might have something to do with that). Here is the list of capital clubs currently in their nation's highest division with their most recent title listed in parenthesis. CS Otopeni is not from Bucuresti, but from... Otopeni. There were a few cases of clubs that were so near the main city that I couldn't decide whether to include them or not. In the end I decided to include clubs that are in the Greater Capital region, even if they are not technically in the city of "blank".